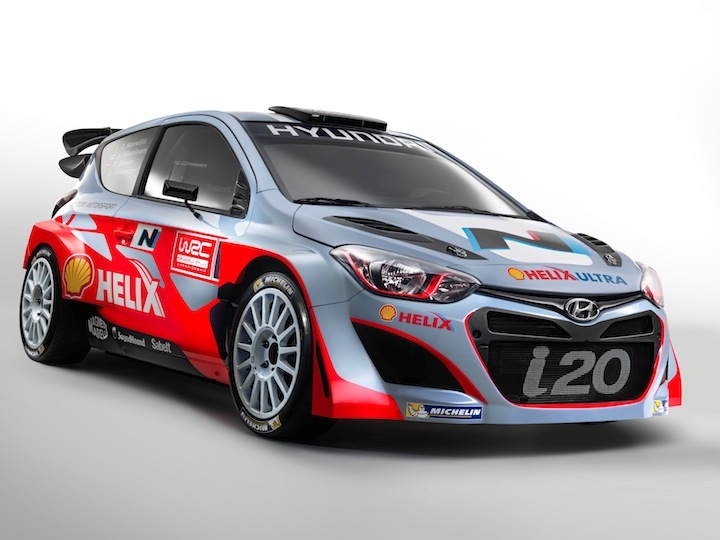 Hyundai Motorsport has unveiled its full team line-up at a special launch event, as the manufacturer gears up for its debut in the 2014 FIA World Rally Championship at Monte Carlo next month. I so wish I could be there – can you imagine the buzz? Anyway, Hyundai Motorsport has set realistic targets for its debut season with the primary objective of finishing each rally event with two cars. The young team will approach each rally with the goal of accumulating vital knowledge and data in order to strengthen its foundations for subsequent years. Going up against vastly more experienced WRC competitors, the team knows that it has a steep learning curve, but it certainly relishes the challenge and will be aiming to compete for podium places during the season. 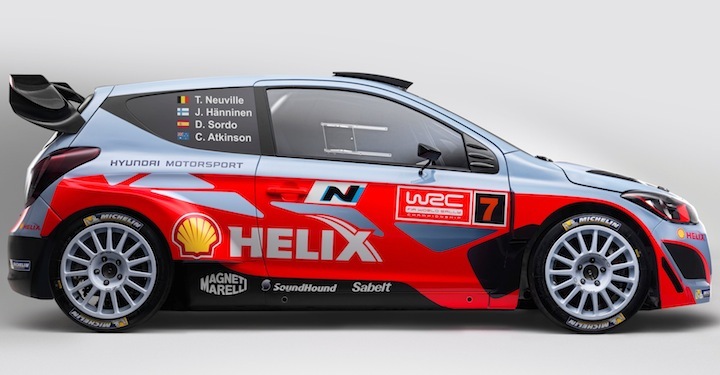 Hyundai Motor Company also used the occasion of its WRC launch to announce that Hyundai ‘N’ will be used to symbolise Hyundai’s high performance technology on both the i20 WRC car and future mass-produced high performance cars. My diva like question would be – when do we see this in action in the UAE? Linked directly to the company’s renewed involvement in WRC, ‘N’ brings together Hyundai Motor’s technology and innovation with the learning from motorsport to provide a new experience for customers. ‘N’ takes inspiration in both name and spirit from the Namyang R&D Centre that has collaborated with Hyundai Motorsport on the development of the i20 WRC. The Namyang R&D Centre is at the heart of the technological innovation and development that serves as the driving force behind Hyundai’s growth as a global brand.